Chances are Tanya Tagaq is unlike any vocalist you’ve ever heard before. A celebrated lnuit performer, she creates improvisational sounds with her voice. Her unique style combines her Inuit roots with contemporary music of today. She draws upon traditional Inuit throat singing as a source of inspiration for her sound, but makes it very clear that what she does is not traditional Inuit throat singing. 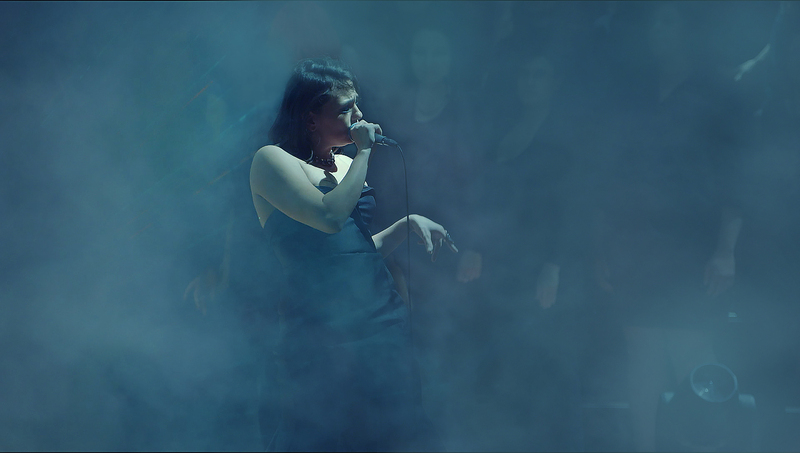 Tanya Tagaq’s performance at Meany Center for the Performing Arts will include a 50-person community choir, including Indigenous and non-Native individuals from the UW campus and community who will provide the “sound tapestry” for Tanya Tagaq’s program. We are currently recruiting a diversity of voices, genders, ages and nations as well as UW students from a variety of backgrounds to participate in the choir. Singing experience is not necessary, but performance experience is preferred. This one ticketed performance on February 8th is only a small part of what Tanya will be doing while she’s visiting Meany Center. Though her music might appeal to a niche audience, her role as an activist for indigenous rights has attracted broad community interest. Meany Center is partnering with the Native Advisory Council members and programming staff at Seattle Public Libraries, UW Department of Canadian/Arctic Studies and UW Intellectual House among others. Tagaq, an outspoken advocate for Indigenous women’s rights and also for the rights of Indigenous people to hunt, has just released her first book, Split Tooth, an amalgam of fiction and memoir that describes the beauty and the danger of life in a small Arctic town. Tanya will engage with students, faculty and community members who are interested in learning more about how her art, activism and life have come together in her writing, filmmaking and performance. Public-facing events will be announced on our website in January. Other outreach activities might include a film screening of Angry Inuk followed by a panel discussion with Tanya, local indigenous leaders and UW Faculty; visits to university classrooms such as ethnomusicology; or a talk by Tanya about her activism. We are grateful to the National Endowment for the Arts and to the many individual donors who make it possible for us to bring this important contemporary artist to Meany Center.